In our current political climate, facts are becoming an endangered species. With attacks on objective reality increasing every day, some citizens are standing up in the name of truth. Jess Phoenix is no exception. After graduating from Smith College and California State University, Phoenix went on to become a field geologist who specializes in the study of volcanoes. Phoenix is looking to bring her expertise in fact-based critical thinking to the California 25th, currently held by Republican Stephen Knight. While California is generally a Democratic state, Knight won re-election in 2016 with roughly 53% of the vote. However, Hillary Clinton won the district by nearly 6% in the presidential election, and the DCCC has included the 25th as a target district for the 2018 election season. We sat down with Phoenix to discuss her campaign, including her stances on gun reform, immigration, and what she thinks are the greatest threats facing our nation today. Check it out below. The full video of our February 28, 2018 interview is below, along with a transcript which has been lightly edited for clarity. 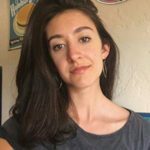 Remy Carreiro: I’m Remy Carreiro, Managing Editor for Rantt Media and with us today, we have Jess Phoenix, a scientist running for Congress in California’s 25th district. Thanks so much for being here today, Jess. RC: So let’s start with the basics. What inspired you to run for Congress? JP: Well, it was sort of a combination of things. I’m a scientist, and I live in a world based in fact. You know I work every day trying to figure out what facts really are and what exists, what doesn’t, what’s real, what’s not. And I use facts to analyze problems in the real world. And when I saw that Donald Trump, and my opponent Steve Knight — when I saw that they were rejecting fact-based policy-making in favor of policies that favored their wealthy donors or their own special interests, I thought you know what it’s time for scientists to step in the ring, and get their hands dirty in a different way because if scientists aren’t going to step up and defend facts, then who will? RC: You have a really interesting background in comparison to some of the other lawmakers that we see running for a different political office, so what specific skills do you think a scientist can bring to government? JP: Well, what I do is a scientist, it’s not the person in a lab coat in an office or a lab all day. What I do is, I’m a field geologist, so I lead expeditions around the world to investigate different geologic phenomena. My specialty is volcanoes, so I do a lot on active volcanoes, on volcanoes that are extinct. I also do other natural hazard work around earthquakes or landslides. And then I run a nonprofit that I founded called Blueprint Earth, which is interdisciplinary environmental science research. So we do geology and hydrology and biology and atmospheric work and to understand how environments function as systems. So what all that does for me, in terms of potential lawmaking abilities, is it’s really creative problem-solving. When you are out in literally the middle of nowhere and someone gets injured or you run into some hostile local folks. I mean, I’ve dealt with Narco traffickers in rural Mexico. I have had horse thieves come into our camp in Peru. And these are problems that you have to deal with. You have to fix flat tires on the sides of volcanoes. If you can solve problems with the tools that you have at hand and then to further a big picture goal — that’s what we need in our lawmakers. So that’s why I think particularly field scientist would be particularly well-suited to Congress. RC: I think it’s very interesting that you mentioned creative problem solving and dealing with different backgrounds because I know the California 25th is a very — it’s a very diverse district both geographically and demographically. So do you see that helping you suit many varied needs from a varied group of constituents? That sort of background? JP: Yeah, I do. So I speak Spanish. My mom was a Spanish teacher before she joined the FBI, so I was lucky enough to learn when I was a kid. And then my husband is Latino, and a large portion of our district here is made up of the Latino Community. We have a lot of people from El Salvador in addition to people from Mexico and other countries in Central and South America. So the fact that I can actually go out and talk to people in their own first language a lot the time and that I’ve done work all through those areas and I’ve been there, and I’ve seen how the situation is on the ground. I think that’s really going to be helpful in connecting in ways that other candidates haven’t done previously, so I think that’s one way. And then also I’ve worked all throughout our community for the last 11 years doing geology research, teaching students and being a grad student myself way back in the day. So I know the area. I know our natural hazards very well. What I’ve been doing is — I don’t know everything, nobody does so I’ve been really making an effort to use the learning skills that you get when you’re a scientist to go out into the community and meet people on their turf and listen to them and say what’s your major issue? What can I do to help you if I go to Congress and people really like that. They just want to be heard fundamentally, so that’s what I’m doing. RC: Moving on to a few broader points. What do you think the nation’s top priority should be in the next five to ten years or so? JP: Well, climate change. That’s two words, but that is because despite what some people on the Republican side will say, climate change is real. It is happening. It is a problem that we need to address. And it’s funny; I like to point out to people that Donald Trump believes that climate change is real. On his application to build a seawall to protect his golf course in Ireland— I think it was Ireland’s either Ireland or Scotland — but his application to get the permit said that he wanted to build a seawall to protect the course from climate change. And you know come on, he’s a business guy, he’s not dumb. And none of these folks are dumb. If you’ve made it this far in life, you’re not dumb. You know this is real — except the thing that’s motivating you isn’t the best interests of our community. It’s the best interest of your big money donors. And my opponent Steve Knight, he takes a lot of money from special interests, so he’s not willing to address climate change. And that’s what we need to do. We need to have green technology research and development, and we need to invest in that because climate change is the greatest threat to national security that we’re going to see in the next 50 years. It is a threat multiplier, so whenever you have a changing climate like sea-level rise or a drought —really a lengthy drought — or just unusual weather patterns that are going to disrupt people’s livelihoods and lives, you’re going to see terrorist groups more able to gain strongholds, because the resources become more scarce. And if you do have food scarcity issues, you’re going to see people migrating simply to have enough to eat. So, if we don’t work on this and we have this growing population and this changing climate, we are going to be in a serious mess. So I really want to have lawmakers in office who acknowledged climate change, acknowledge the science, and work with scientists and local communities to solve the problem. RC: Do you see California as a leader going forward in that battle? JP: I do. California is awesome in terms of leading the way on a lot of things that are slow to get going in other places sometimes. But you know, that’s what California does. We go between the fifth and the sixth largest economy in the world often. Not sure if we’re fifth or sixth right now. But we are huge, in terms of what we can do as Californians, and that’s another reason why having a representative here in LA County and Ventura — my district spans both — but having a representative right here who is anti-science, I mean, and anti-environment, it’s just voting against California’s interest. We can’t have that. RC: Right. Now on the topic of your Republican opponent, I know that he is a strident opponent of any gun control legislation. What do you think should be done to combat the gun violence that plagues our country right now? JP: I’m glad you asked because it’s super timely and the sad thing is, it’s always super timely. And that’s what really, that pains me when I hear people say it’s not the time to talk about it. The time to talk about it was before mass shootings became a normal occurrence. And as somebody who was 17 and down the road from Columbine when the shootings happened. I was at a different high school, but my boyfriend at the time went to Columbine. I found out that my friends died on national news, from the news helicopter footage that day. And no kid should have to live with that, and we’ve raised a generation that is — we have over 100,000 people now who are mass shooting survivors, who are alive right now. That’s mind-boggling. So we really need to, first and foremost, enact some of these, what they call, common-sense gun reforms. And specifically, I want to ban center-fire semi-automatic rifles. Like we’ve got to be very clear because people will get hung up on what does assault weapon really mean? RC: Can you elaborate on “center-fire” a little bit? JP: So it’s just saying how the firing mechanism works. It’s a very specific category of weapon, so I’m saying these specific things. Examples of those would be things like AK-47’s, AR-15’s. Those should not be in the public hands. And we also need to make sure that we are regulating magazine capacity for both rifles like that as well as for pistols. There is literally no reason for home defense or for even sport that you need a gun that can do that. You don’t need to own that. The Constitution yes, the Second Amendment exists, however, you can’t get caught up in twisting the words when the Founder’s intent really was to have a well-regulated militia with specific types of firearms that were specific to that period. I don’t see any of these people with their muskets, you know, doing mass shootings, so that’s one of the things we need to work on. We also need to make sure that we do have universal background checks. And that there aren’t these big loopholes where people can just wiggle their way through and get guns when they shouldn’t have them. We need to make sure that we are not allowing concealed carry reciprocity to happen. Steve Knight, my opponent, he actually co-sponsored that bill, and it would allow the states with the weakest gun laws — people who’ve gotten a concealed carry permit there — to go to states with stricter gun laws and not have to abide by those stricter laws. So that is very dangerous. And then also making sure that — this is my priority as a scientist, as well as somebody who’s been affected by mass shootings — we need to fund the CDC. You know, Congress restricted the CDC’s ability to study gun violence at all as an epidemic back in the nineties. And gun violence is a problem, and it’s not going away, so we need to understand the causes fully and we need to be able to understand how to solve those problems. But without data, we can’t fix what we can’t see. RC: Moving on to another hot-button issue especially in California. Immigration is looming really large in our national discourse right now, you know with the DACA debate, with the myriad of ICE raids. What do you think is the best path going forward in regards to improving our immigration system? JP: A bipartisan immigration solution is what we need, and that means that compromise has to happen from the right. Because they are not willing to. And we see Trump rejecting bipartisan bills that they’re putting out in front of him. So, my personal stance is that we need a clean DREAM Act, and that means don’t attach strings to it saying, like, we have to have border security funding as well or anything like that. We just need to make sure that the DACA recipients have the path to citizenship cleared and that they can become US citizens because they’re Americans. Like they’ve been here, they came here through no fault of their own. In fact today I was talking to a young woman who was brought here at the age of four, it was a DACA recipient. I mean, when you’re four — I don’t remember what I was doing when I was four — but I certainly didn’t have a say in whether or not I immigrated to a country. So this is her home. She’s never been to Mexico where she was born, other than being born there. So she needs a path to citizenship and so do thousands, hundreds of thousands of other people. We’ve got to do that, and then we’ve got to work on DAPA, which is the action program for the the parents of DACA recipients. And then we have to make sure that all of the immigrants here have a clear path to citizenship. And this is not extreme. Ronald Reagan, in the eighties, granted amnesty to undocumented immigrants. It wasn’t a path to citizenship. It was actual amnesty. And we’re saying let’s be even more measured than that, and we’re seeing opposition from the right, and that’s just — it’s economically stupid to block these folks from being able to participate in US society fully. So, if you don’t see it from a humanitarian angle, you should see it from an economic one. It’s blinding ourselves again to a real problem that we can actually solve. RC: So I’m sure you know, but women make up around a little less than 20%, I believe it is, of Congress despite being over half of the general population. What impact do you think having more female representation in Congress would bring on not just women’s rights, but many of the issues that we’re dealing with today? JP: You know I think what we see is that increased diversity makes organizations stronger, and that just is across-the-board. So having more women as our representatives in federal government will make a huge impact. I think we will see a lot more policies advance that are favorable to support families in the ways that they need it, including access to reproductive rights and early childhood education initiatives and maternal infant mortality reduction efforts, health care improvements. And I think we’ll also see a lot better results in terms of parental leave, which is a big one and that is completely not addressed right now adequately. We really need to make sure that parents have the support they need to raise their families in a healthy way. And that is something that other developed countries manage, so we should too. It’s right for our country to make sure that women’s voices are heard and respected and acted upon. And I think that’s what having more women in government is going to do. RC: To circle back, just a little bit to what we talked about at the beginning. How do you think scientists running for office can make an impact and connect with voters in a culture where certain politicians are increasingly skeptical of basic science. You know we have talk of alternative facts and whatever linguistic, sort of, acrobatics you want to do to talk about the phrase. But how do you think scientists can really combat that culture? JP: I think we have to be unafraid and really make an effort to put ourselves out there and to use our voices for all that they’re worth. Scientists kind of retreated from the political conversation after Robert Oppenheimer was persecuted for his stance on nuclear weapons. And all through the Cold War scientists were very quiet because we were afraid of losing our funding for research. Well, guess what? We’ve been quiet, and now we’re in danger of losing our funding. All of the climate research that NASA and NOAA do are in jeopardy. All that research is really not going to be funded if we don’t advocate for it. And that means that science is political. People think that it’s not, but governments prioritize things based on their politics, and if a government is prioritizing science, that shows where the politics are. If the government’s not prioritizing science, then it’s pretty clear what needs to happen — scientists have to step up. We need seats at the table, we need to advocate, and we need to make an effort to talk to the public and get our message out there. Because ours is based in fact. There’s actual reality, and there’s made up subjective reality. And we want to live in a world where actual problems are addressed with actual solutions, and that’s I think what scientists can bring to the table. RC: Do you think that’s going to resonate with voters? Do you think there’s that need to hear actual reality the way you describe it? Do you think they want that? JP: I do. I’m really optimistic, and I think again to be in politics, you really ought to be an optimist because there is so much that is so difficult to deal with that we see on a daily basis. And I think that we absolutely have to have people in office who are optimistic and who believe in their messaging. And it’s not just messaging that some focus group or poll handed to them. It’s doing the right thing, and it’s having courage to stand behind your convictions, and I think that you know what scientists have is convictions that are based on evidence. And I think people want that. They want you to stand for something and they want you to be clear about what you stand for. So that’s what I’m trying really hard to do. RC: So if you were to be elected what would be the first actions you would take to help your constituents? Or the first couple of actions? RC: It’s a long list I’m sure. JP: There’s a huge list, but my first priority would be about gun reform legislation. That just has to come first. We have such an opportunity right now where we have young people engaged, we have people around the country who are paying attention, that getting that out the door. Legislation that’s actually signed off on and is approved. That would make a huge difference in a lot of people’s lives because it’s not just mass shootings. It’s suicides, and it’s domestic violence situations where people have access to a firearm that they probably shouldn’t have access to, and they make a decision that they can’t take back. So, to me, that’s one of the very first things that I would want to address. And then moving on from there, I would really want to prioritize trying to push back and reverse some of the actions that the EPA Administrator Scott Pruitt has taken and that the Secretary of the Interior, Ryan Zinke, has taken as well. A lot of those are very harmful to our environment and will lead to worse outcomes for people in the areas that are affected — so areas where their decreasing restrictions on polluting industries. We’re going to see people who live near those places really impacted pretty hard. And so we need to protect the environment, and they’re removing protections that we had agreed were necessary. And to national monuments too, I mean we see it, to our Coastal Waters. And I think it’s fundamental that we act on that quickly because it ties into our general health, which means advocating for health care for everyone too. If you don’t have a healthy environment, you can’t have healthy people. And if you don’t have healthy people, you can’t have a healthy society — so it just makes sense. RC: Are there any last messages you’d like to leave your voters with today? JP: Make sure that you’re involved, and that means don’t just vote. Voting is great. But — do vote, do that — but also find candidates you like. Find candidates whose message you believe in because only 0.58 percent of American adults donate politically. And that’s your real one percent that are deciding who gets on the ballot to represent you. So find a candidate you believe in, and even if it’s only five bucks, send them some money. Send money to races around the country. Get involved with the local level too, but do something because otherwise, you lose your voice and that’s really what we have — the most powerful tool we have to make change. So get involved. RC: Well, I think that’s a great message. I want to thank you so much for taking the time to answer some of our questions today and wish you the best of luck with your race going forward. JP: Thanks, Remy. Again, it was great to be here, and I appreciate everything you’re doing too. So thank you. Primary Election Day in California is Tuesday, June 5. A top-two primary election is being held for the California 25th, meaning the top two vote-getters in the primary election will face each other in the general election on November 6.